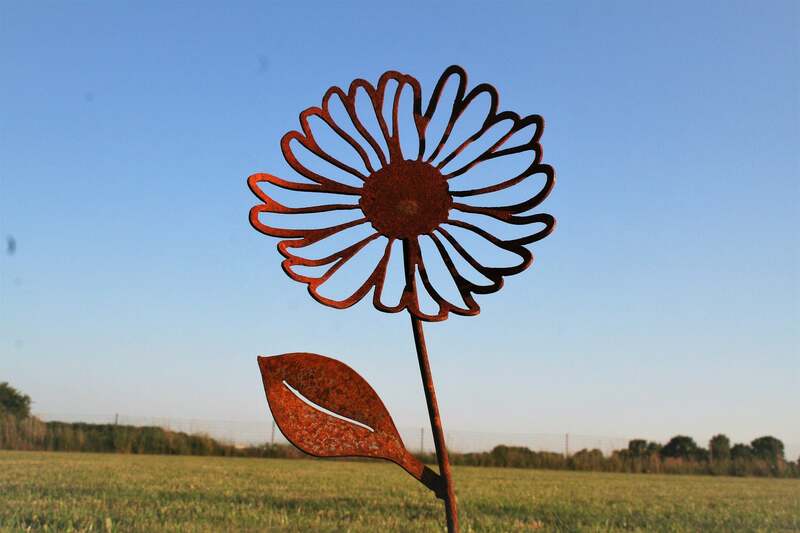 Rusty Daisies are a great addition to your garden! 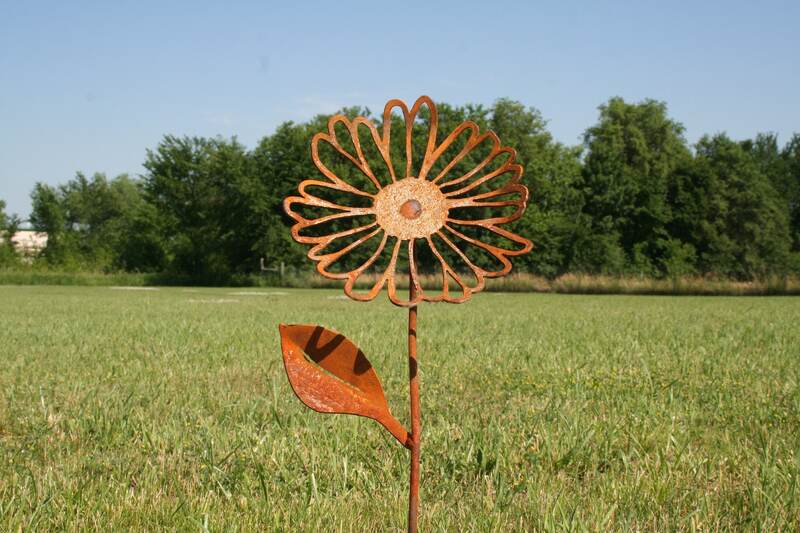 These rustic flower stakes will outlive the rest of your landscape. Perfect for those areas where nothing will grow. Also makes a great gift for those gardeners who can't keep anything alive! 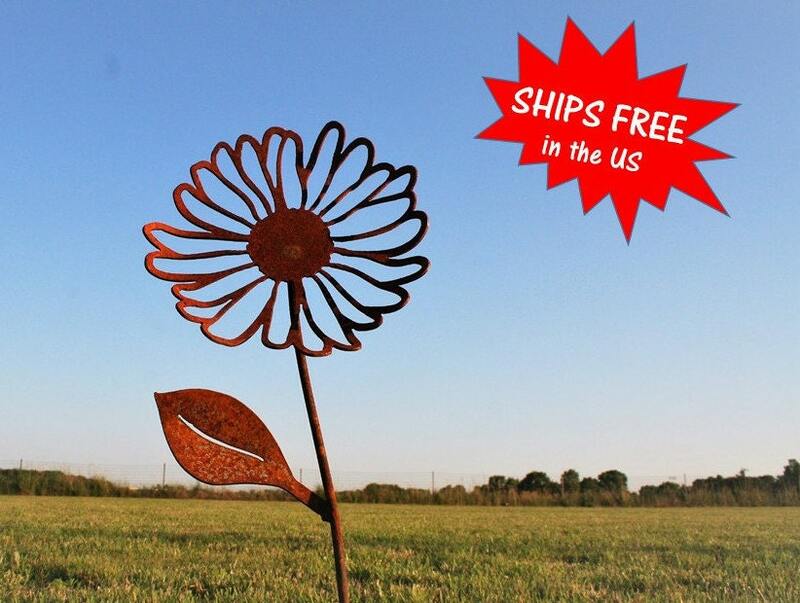 The adorable, steel daisy is roughly 22" tall with one 3" leaf each. Face is nearly 8" across and bent for a 3D effect. 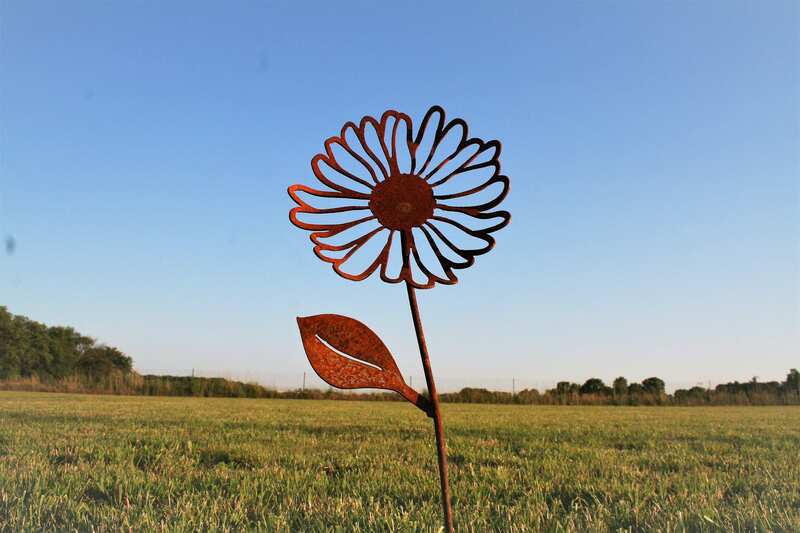 Strong and durable garden art is ready to stand in your yard for decades! Choose one single flower or purchase as a set of 3. We hope you'll love our garden art as much as we love creating it! 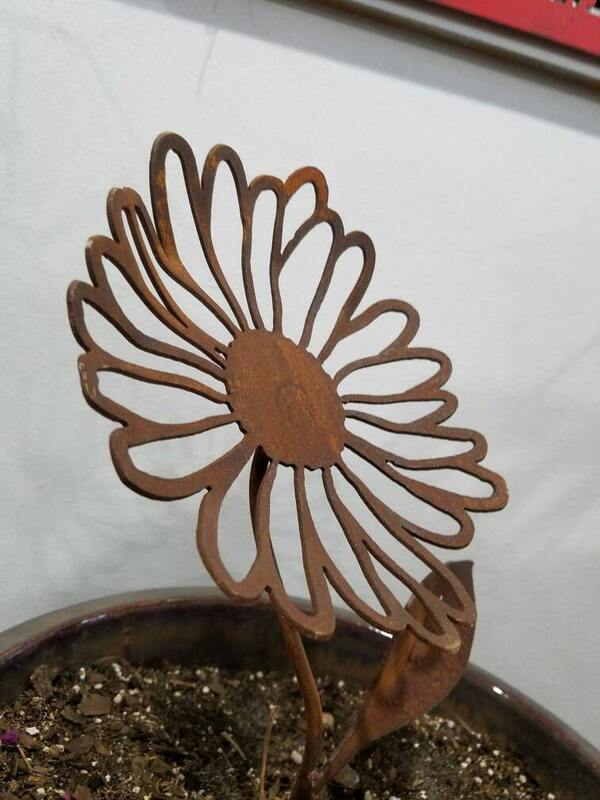 The Rusty Daisies are one of our original listings and still a customer favorite! All of our items are made by the two of us, in our own shop. 100% made in USA and made to last. So beautiful! Love this piece! Love the flower and rusted look. Nicely made. Love these daisies. I ordered three and then ordered 6 more. So darn cute for my "rusty" rock garden.